P.C. 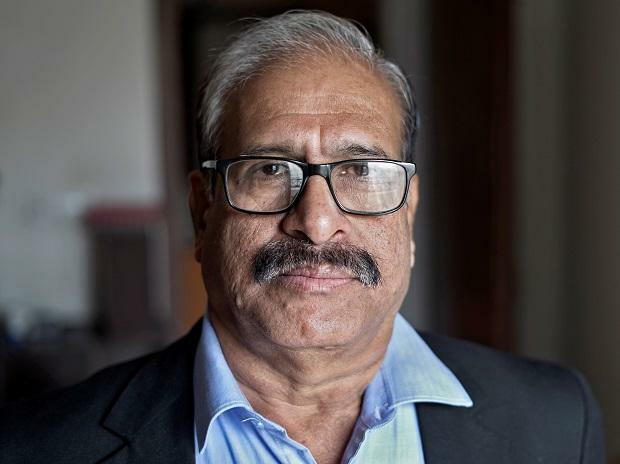 Mohanan grew up in a village without electricity, studied statistics at a public university, and then spent more than three decades crunching numbers for the Indian government. But in the past week, the mild-mannered official has been caught up in a political storm that has threatened to undermine Prime Minister Narendra Modi’s government months before a general election. On Jan. 28, Mohanan resigned as acting chairman of the National Statistical Commission (NSC), a government-funded advisory body that checks the quality of India’s official data, in protest at a delay in releasing a new set of jobs statistics. Another member of the NSC, J. Meenakshi, quit with him. Three days later, some of those jobs numbers were leaked to the Business Standard newspaper, which reported that India’s unemployment rate in the year ending June 2018 rose to 6.1 percent, its highest level in at least 45 years. The figures are potentially crucial before the election, due to be held by May, as Modi’s Bharatiya Janata Party (BJP) struggles to win over voters concerned about depressed farm incomes and a lack of job creation. India needs to create more than a million jobs each month just to find employment for young people entering the workforce. Officials from NITI Aayog, a government think tank formed by Modi in 2015 that is not normally involved in official releases of economic data, have rejected the job numbers reported by the Business Standard. They said the report was still in a draft form and argued that more quarterly data was required to publish a “comparable” jobs report. Finance Minister Arun Jaitley also told Reuters news partner ANI the report was a draft "which has not been approved." But in an interview with Reuters this weekend, Mohanan, 63, says he has no regrets about walking out in protest at the delay. He said the NSC, which was supposed to be the final authority on statistics before they were published, had been repeatedly sidelined by the government in recent months, and the delay in the jobs figures was the final straw. Data should be released as per the calendar, whether it is to your liking or not liking, he said. Otherwise, where is credibility in the system?" It is unclear where the Business Standard got the figures. Mohanan stresses it wasn’t from him, and declined to discuss the specifics of the jobs report with Reuters. Mohanan, who says he is not active politically, said the NSC approved the report on Dec. 5, and expected it to be released soon after. When it didn’t happen, he reached out to top officials, including the chief statistician, Pravin Srivastava, even flying to New Delhi from Mohanan's home in southern India, for a meeting with him in late January. He says he didn't get a satisfactory explanation for the delay in any of those discussions. With the report still unreleased, Mohanan and Meenakshi quit a few days later. Mohanan said he felt it was important that he stood up for the integrity of the organization, the NSSO, where he built his career. He had joined the NSC as a member in 2017, two years after retiring from India’s statistics service, which includes the NSSO. When he became the acting head in November 2018 he found the NSC’s role had diminished under the Modi government. It was starved of resources and it wasn’t engaged in major statistical initiatives as they should be under ministry guidelines. There was also a controversy over the release in November of historical GDP data with a new base year, which was used by the government to attack the opposition Congress party. The data showed growth was lower than previously thought during the previous Congress-led government. He said his concern was the way NITI Aayog was involved in releasing the numbers. The government think tank said they had been brought in to assess the numbers before that announcement, according to local media. As to NITI Aayog’s arguments against publishing the jobs data, both Mohanan and a senior former NSSO official said they are bogus. There is no relation between this report and the quarterly data, the former NSSO official said, requesting anonymity. Radha Binod Barman, who chaired the NSC between 2016 and 2018, said the National Statistical Commission should have been the final authority on whether to release the jobs report. NITI Aayog and India's statistics ministry did not respond to emails seeking comment. For Mohanan, it has been a stressful past week. He realizes this might be the end of his government life but is ready to settle into retirement in the village he grew up in the state of Kerala. Having made his point, Mohanan's one big hope is that the NSC and the Indian statistics team will now be shown more respect.